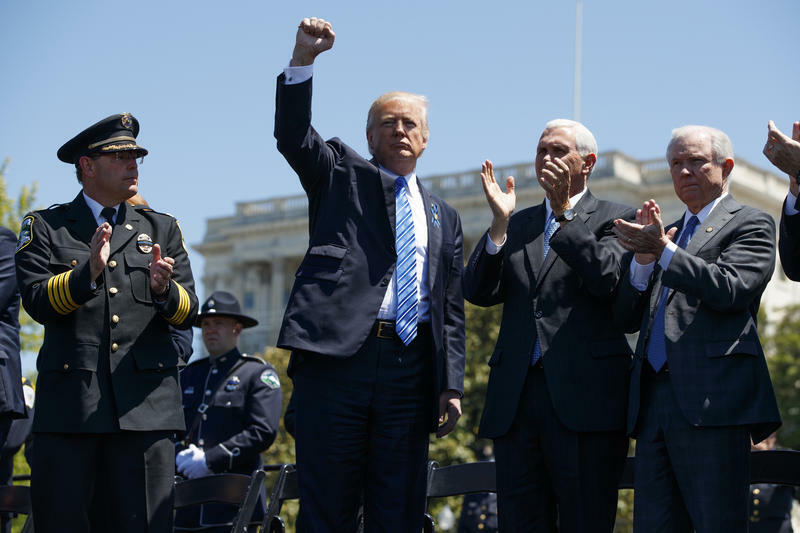 President Donald Trump pumps his fist beside national FOP president Chuck Canterbury (left), Attorney General Jeff Sessions and Vice President Mike Pence during the 36th annual National Peace Officers Memorial Service on Capitol Hill, May 15, 2017. The Trump administration has promised a return to "tough on crime" criminal justice policies, including a recent memo that instructs federal prosecutors to reverse Obama-era reforms meant to curb mandatory minimum sentences. But there’s a growing group of organized, well-funded reformers on the right who don’t agree. This week on 90.5 WESA’s Criminal Injustice podcast, host and University of Pittsburgh law professor David Harris talks to R Street policy director Arthur Rizer, who said there’s a strong conservative argument for leniency and transparency. DAVID HARRIS: What after all these years has compelled conservatives to move towards smaller prison populations and shorter sentences for those who were ultimately convicted? ARTHUR RIZER: I think that it really boils down to the very nut of what conservatism stands for, which is a limited government. The worst thing the government can do to you, besides kill you, is to put you in jail. And understanding that to be a conservative, you cannot believe in a government that acts arbitrarily and capriciously. … We know that if you are poor, you have a higher conviction rate, you have a higher sentence if you are convicted [and] you have a longer time in pretrial detainment. You have the worst bite of justice, and that is by definition arbitrary and capricious. HARRIS: Does the conservative case for criminal justice reform include strong opposition to government spending. The federal budget for criminal justice is just ballooned since President Nixon in the early 70s. We see it in all the states. Is that what this is about, in part, cutting government spending? RIZER: I think it absolutely is, in part, cutting government spending. But I think that's No. 4 on the list. It's really about not increasing public safety. And if you don’t increase public safety, it isn’t expanding the idea of limited government, and it doesn’t help create a persuasive identity of conservatism. HARRIS: Your organization has suggested that you have to treat police more like the military. What do you mean by that? RIZER: I think that the military has a lot of great lessons, and I know it seems like an oxymoron -- to demilitarize police, you should use lessons from the military. But I do think that the culture of the military is something that the police can learn a lot from, which is creating a professionalism and an environment where cops are held accountable to the mission. And the mission is to protect and serve, not the mission of soldiering, which is to kill, but the mission of protecting and serving. And I think that if we looked at recruiting and training and professional development in the police force the same way we do in the military, we'll have a better police force. HARRIS: You've also included in that list more education [and] more transparency. Talk a little about that. RIZER: Transparency really goes towards the idea that an organization has to have institutional knowledge and they have to care about how they interact with the public. And part of that is reducing that trust gap that we've seen developed over the last few years, particularly with communities of color. I mean by definition if we're suspicious of big government then we should be suspicious when the government is trying to hide things. That just makes sense. It all ties into our dogma. 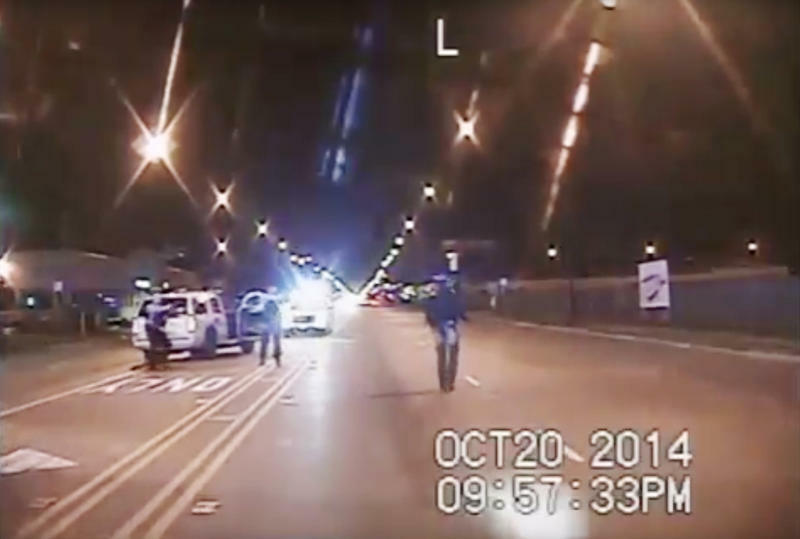 HARRIS: So in the perfect conservative model, what would a modern police force look like? Proper recruitment and training for officers, what else? RIZER: I think officers should be paid a better wage, but with that comes the idea that you don't have a union. You don't have this idea of if you want to be a professional police officer then you should be treated like a professional police officer. You should be trained like one and you should be let go when you do things wrong. I think that history of violence should ban you from the police department, because you're going to have that type of power. Listen when you carry a gun, you have to be held accountable when you do things that are wrong. HARRIS: What are the odds that people across the aisle conservative and liberal are going to agree on these things? RIZER: Well they already have. If you look at some of the reforms that are taking place across the country when it comes to particularly juvenile justice reform, we've seen it up and down. Blue states and red states. Now on the federal side, I'm not as optimistic. I do have some hope, but I do think that with the new administration we're much less likely to see the type of big picture reform that we could have had under the Obama administration. Criminal Injustice is recorded at the studios of 90.5 WESA. Find more at criminalinjusticepodcast.com. 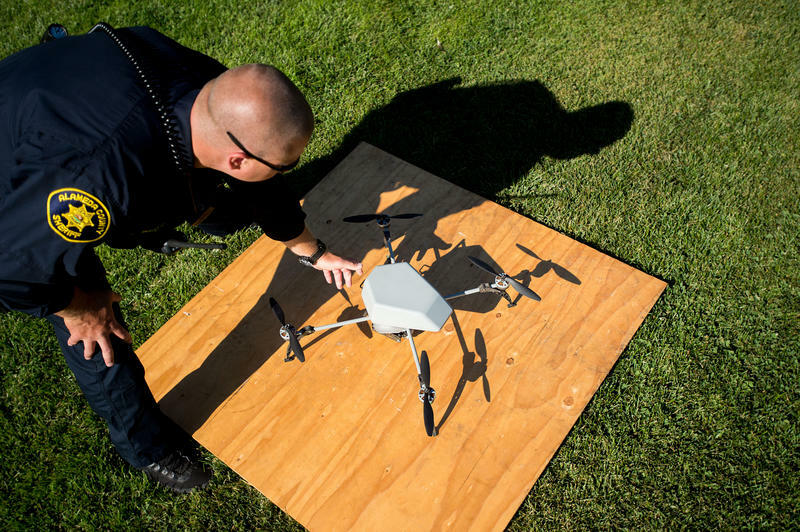 At least 15 states have allowed police agencies to pilot surveillance drones in the name of public safety, including one that can carry weapons. This week on 90.5 WESA’s Criminal Injustice podcast, University of Pittsburgh law professor and host David Harris talks to the Cato Institute’s Matthew Feeney from his office in Washington D.C.
Why Did Mike Stack Need Hundreds Of Squeezable Applesauce Packets? Lt. Gov. 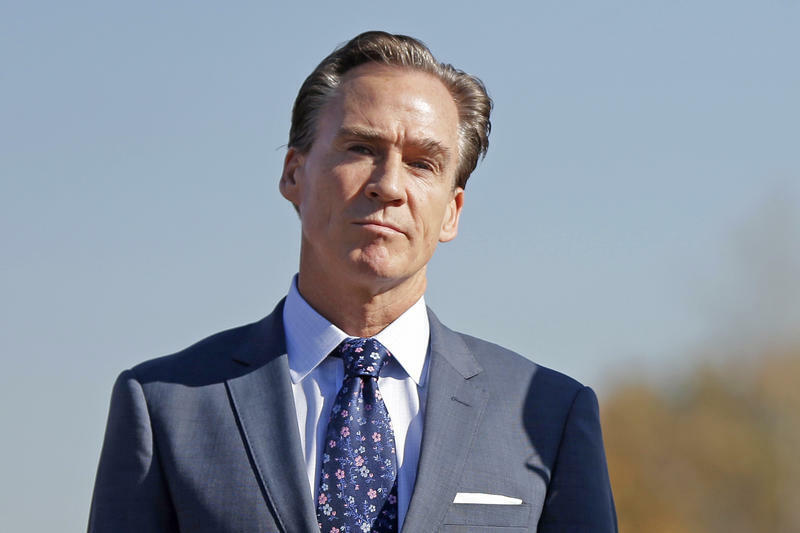 Mike Stack "billed taxpayers for $34,000 worth of groceries, two leather cuff link boxes, flags and thousands of dollars of candy and snack bars while living at his state-operated mansion and collecting a $162,373 salary." The exposure of wrongful convictions began in 1989, and it upended the idea that guilty verdicts were always trustworthy. 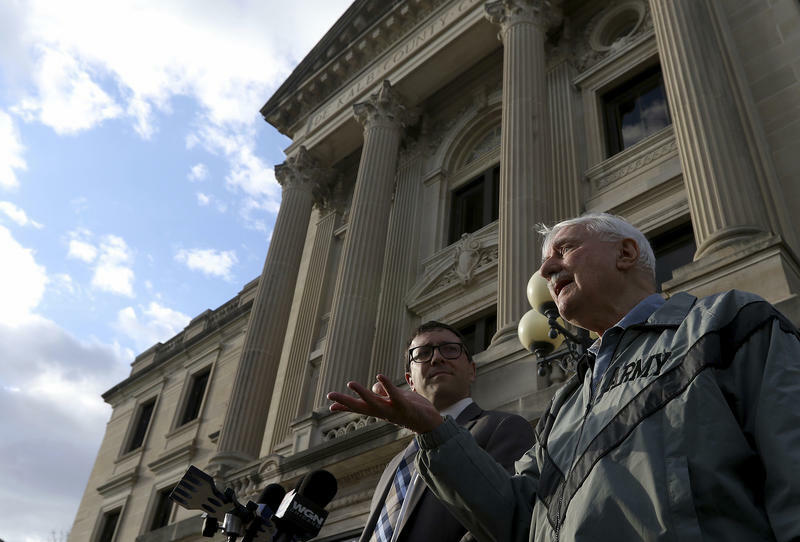 When there’s a wrongful conviction, what has to happen to get a court to exonerate someone? On this week’s episode of 90.5 WESA’s Criminal Injustice podcast, University of Pittsburgh law professor and show host David Harris talked to Marissa Boyers Bluestine, legal director for the Pennsylvania Innocence Project. The last few years have exposed major problems in policing: use of force, high-tech surveillance and a systemic lack of transparency. Some police tactics have even been called undemocratic, because the public isn’t involved on the front end.